Are you looking to obtain your LGV licence? If so, get in touch with Wayside Transport today on 01202 873 911 to undertake our course and learn more about the LGV licence requirements. Thanks to our outstanding pass rate which has exceeded the national average, we are the perfect choice for both companies and individuals. To understand the LGV licence requirement or for help passing your test, speak to Wayside Transport now. If you’re planning on driving any vehicle that is larger than a car or motorbike, you’ll require an LGV licence. With so many LGV licence requirements to consider, obtaining your qualification can be a daunting experience. Not so when you choose Wayside Transport as we provide the most comprehensive LGV driving courses around. An LGV licence qualifies you to drive any vehicle that is classified as either a light or large goods vehicle. Depending on the type of licence that you choose to pursue, you could be faced with different LGV licence requirements. At Wayside Transport, we’ll tailor our services to your needs and make certain that you have the necessary information to ensure that you are completely road legal. For more information, read on below. What can Wayside Transport do for you? Due to the change in LGV licence requirements, a licence is required by motorists who passed their test after 1997 and are planning on driving vehicles in excess of 3,500kg. Also known as Rigid or Class 2, the LGV licence is the new name for what was referred to as the HGV licence. Here at Wayside Transport, our DVSA accredited team consist of fully qualified and approved trainers. Our goal is to help you to grasp the LGV licence requirement, so you succeed in passing your test. To satisfy all LGV licence requirements, you must understand the fundamental principles behind driving a commercial vehicle. At Wayside Transport, we’ll help you to accomplish this in no time at all. From teaching you about road safety to the science involved with towing a trailer or handling a larger, heavier vehicle, our course covers everything that you need to know. Throughout your training, you’ll learn all about the practical skills necessary to fulfil the LGV licence requirements such as turning, accelerating, shunting, and braking. We have testing centres in a range of locations to choose from. Plus, we’ll even assist you with paperwork for acquiring your provisional as well as making sure you fully understand the LGV licence requirement. What makes us the best choice for learning about the LGV licence requirements? Whether you’re looking to operate heavy duty construction equipment or a small transit van, it is essential that you understand the LGV licence requirement. Here at Wayside Transport, we have many years of experience in providing training courses for all manner of clients. 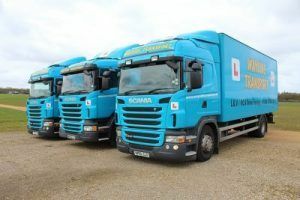 Delivered by our friendly and knowledgeable team of instructors, we possess an in-depth understanding of the LGV licence requirements as well as the latest training techniques and regulations. Our LGV training courses are a reliable means of ensuring that your drivers are operating safely and legally. In addition, we can also provide a member of your team with assessor training to supply them with the knowledge that they need to mentor and coach the rest of your drivers. This is great for those who wish to keep the knowledge of their drivers topped up as well as their understanding of the LGV licence requirement. Fancy a new career where you could earn up to £30,000 per year? With our conveniently located testing centres, making the switch has never been simpler. As with our training for organisations, we’ll equip you with the skills that you need to succeed in your new career. By the time you’re finished, you’ll possess a sound understanding of the LGV licence requirements. Whichever path you choose, you’ll be assured that you are dealing with a professional team that possesses a firm understanding of the LGV licence requirement. On top of that, our prices are both fair and competitive so you can be confident that you are receiving outstanding value for money. To find out more about the LGV licence requirements and to book your place on one of our courses, drop Wayside Transport a call today on 01202 873 911.